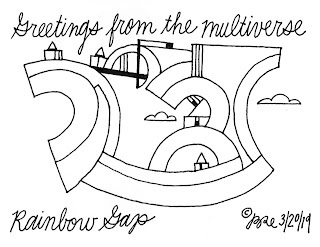 Greetings from the multiverse is my postcard mailing log of drawings from the multiverse of places that I have traveled to in my imagination documented and then sent out as original postcard drawings to share with this universe that I occupy. If you have received one of my multiverse "greetings" it would be great to hear from you in the comments section under your postcard. Greetings from the multiverse. Rainbow Gap. Greetings from the multiverse. First eye Contact. Greetings from the multiverse. Ka-Bob Square. Greetings from the multiverse. High School in the clouds. Is our universe one of a kind? 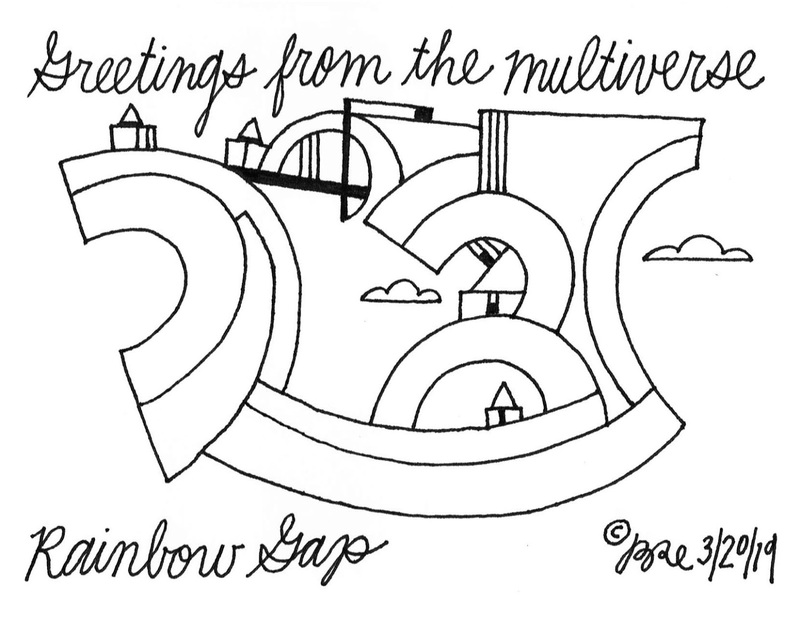 PS: I would love to publish, "Greetings from the multiverse" as a postcard book. Any ideas and leads to publishers would be greatly appreciated. Thanks! (c) 2018 Bernard Re, Jr.. Watermark theme. Powered by Blogger.